« Suds Summit – What a Great Idea! 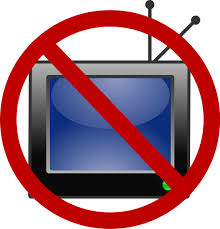 Today marks 3 months, as I continue my journey through this time in my life with no television. I’m still not tempted to hook up with satellite or cable. This month I have hooked up with another favorite pasttime – crossword puzzles. I used to love crossword puzzles, especially the Sunday Crossword from the Washington Post and New York Times. I got out of the habit. But now I am back in the swing of things, and enjoy sitting down on Sundays with a cup of coffee and a pen (yes, a pen) and my favorite crossword. Have also read a few great books… (a couple of not so great books). Reading ‘The Pact’ by Jody Picoult right now and really enjoying that. I also enjoyed Denzel Washington’s ‘A Hand to Guide Me’, and one of my favorites so far this summer has been Richard Paul Evans ‘The Last Promise’. Great summer pick. I have also watched a few movies including ‘Angels and Demons’ with Tom Hanks, which I liked more than the movie ‘Davinci Code’. Ewan McGregor was great in this movie. And I have been writing in my blog more. Good or bad, there you have it. This entry was posted on August 1, 2009 at 5:40 pm and is filed under Uncategorized. You can follow any responses to this entry through the RSS 2.0 feed. You can leave a response, or trackback from your own site.